Courts across the country decided a number of significant ADA cases in 2016, and this session will provide an in-depth review of the top ADA cases from the past year. In addition to reviewing the specific facts and ruling in each case, there will also be a discussion of the impact these cases may have on future ADA litigation. 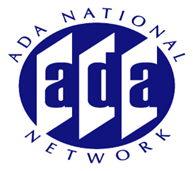 This webinar will cover a wide variety of ADA issues under Titles I, II and III. Start the New Year off right with a better understanding of the most important ADA cases decided in 2016!